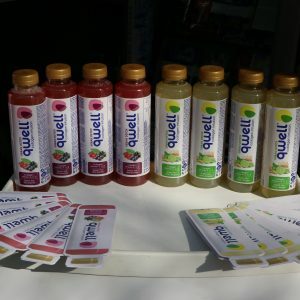 We have a new great client, who is taking care of our and our clients health! 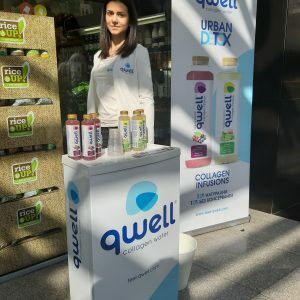 Hydrolized collagen is here, very close now – in the shop next door, thanks to Qwell / www.feel-qwell.com, They say that to combine hydrolyzed collagen with water makes its absorption both more effective and convenient. 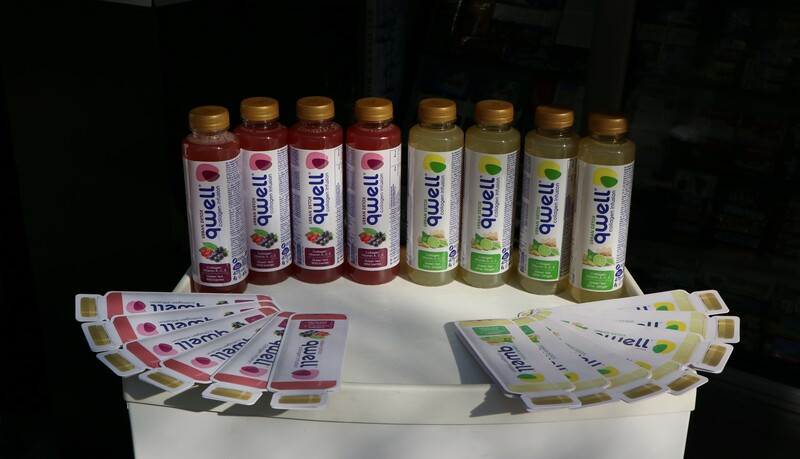 And if you add special superfruits, the magic happens! 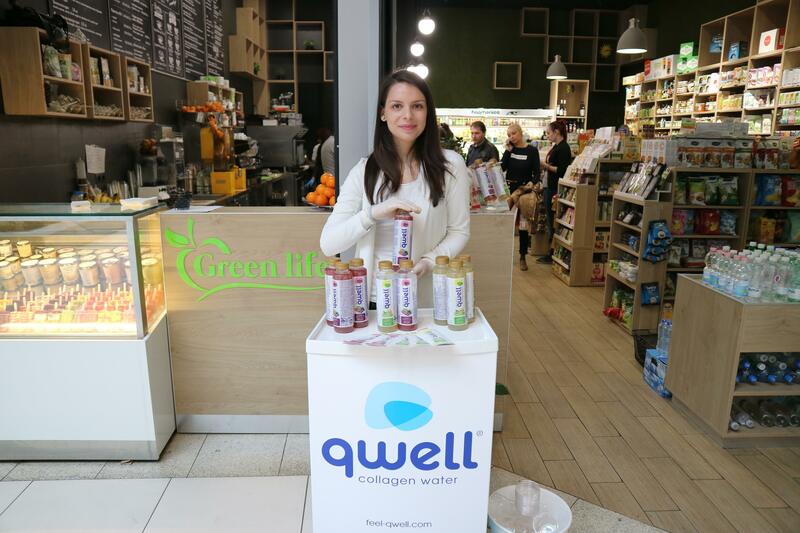 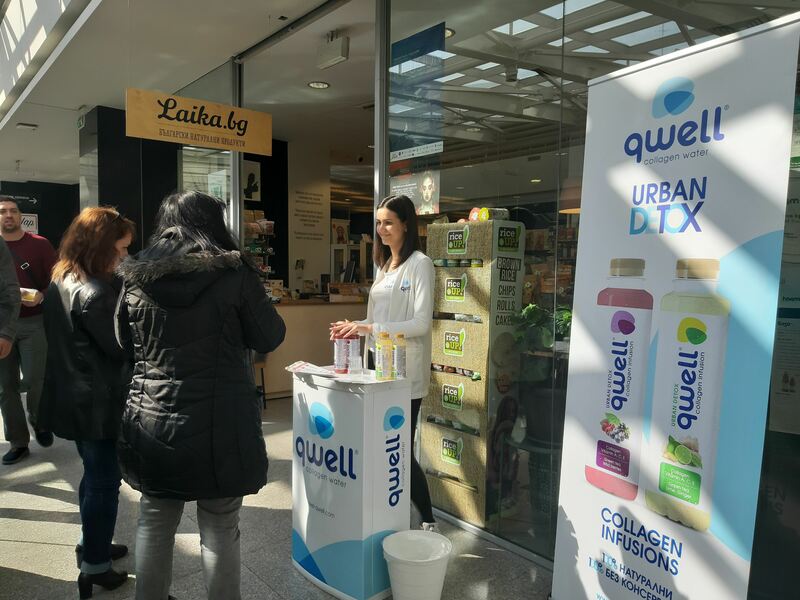 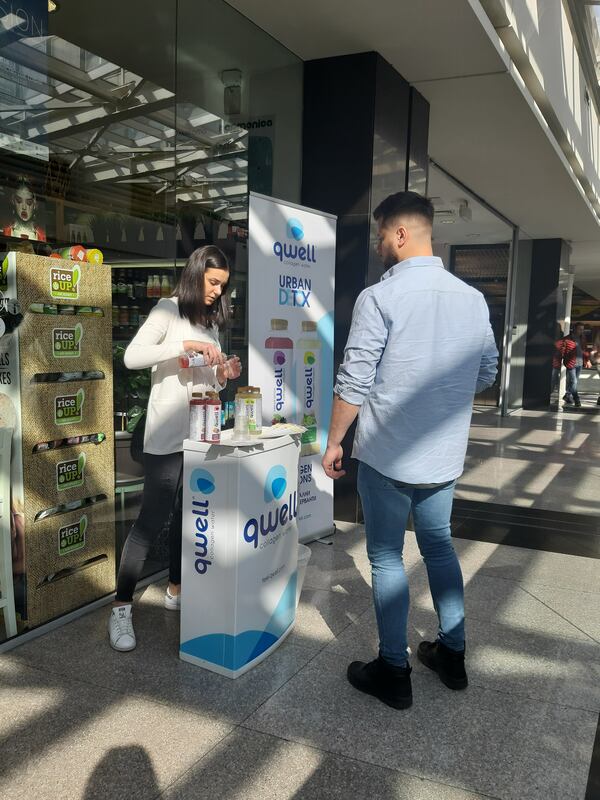 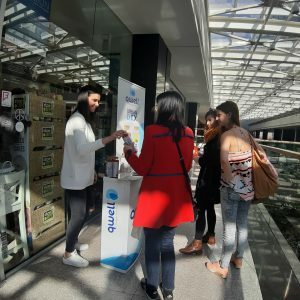 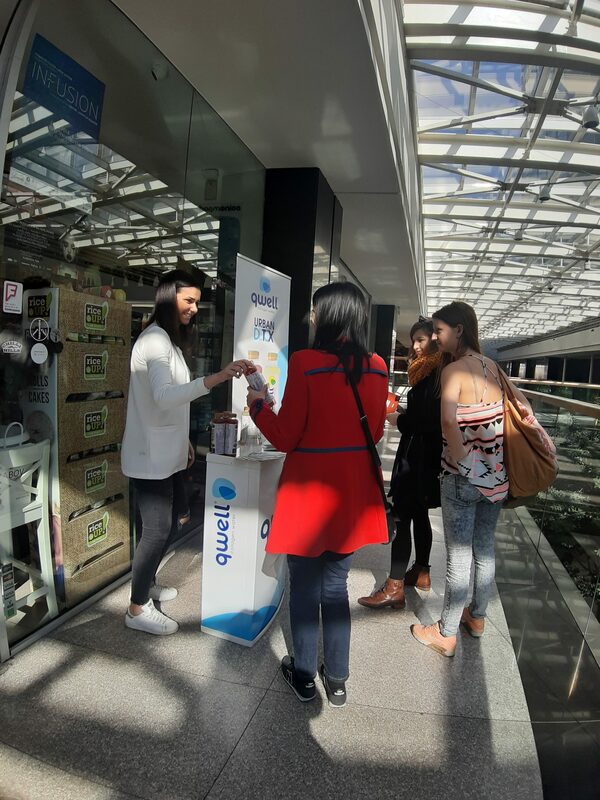 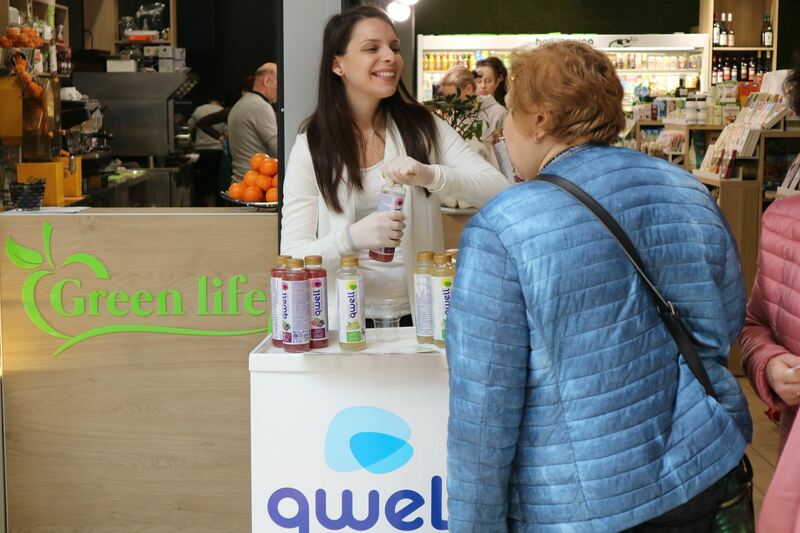 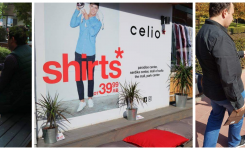 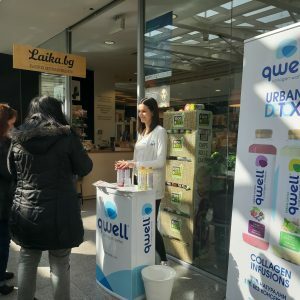 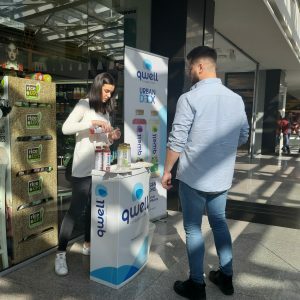 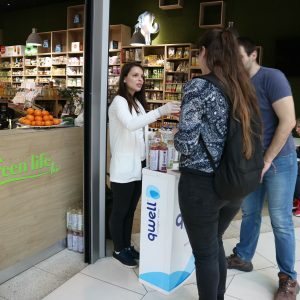 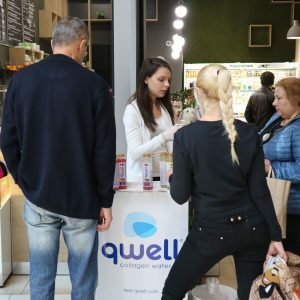 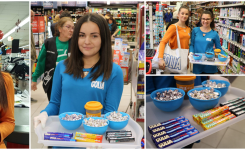 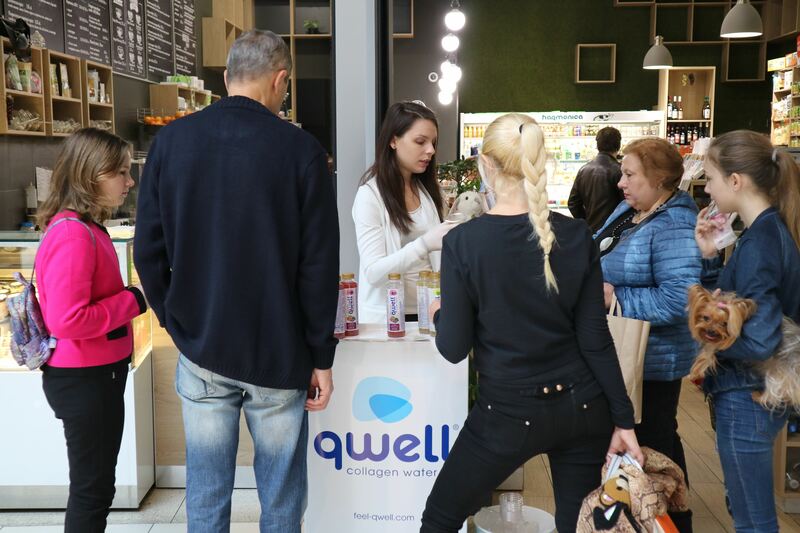 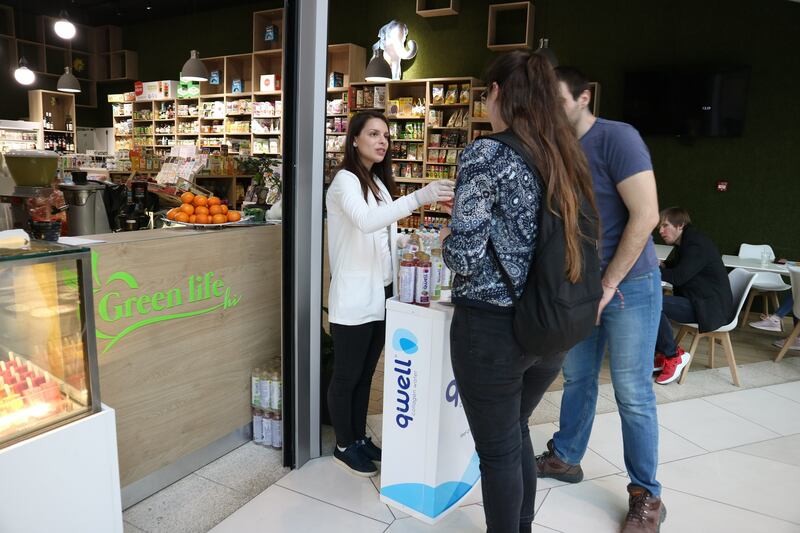 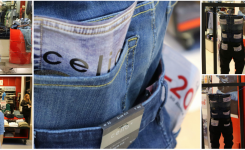 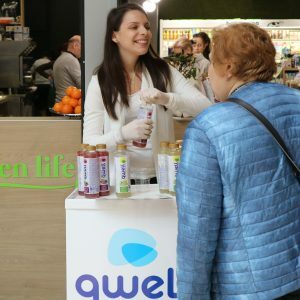 Qwell campaign started at february and ends in March at the better stores in Sofia and Plovdiv! 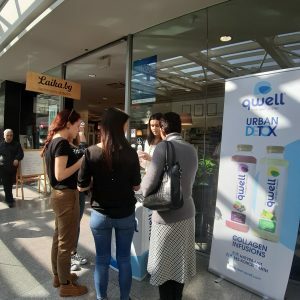 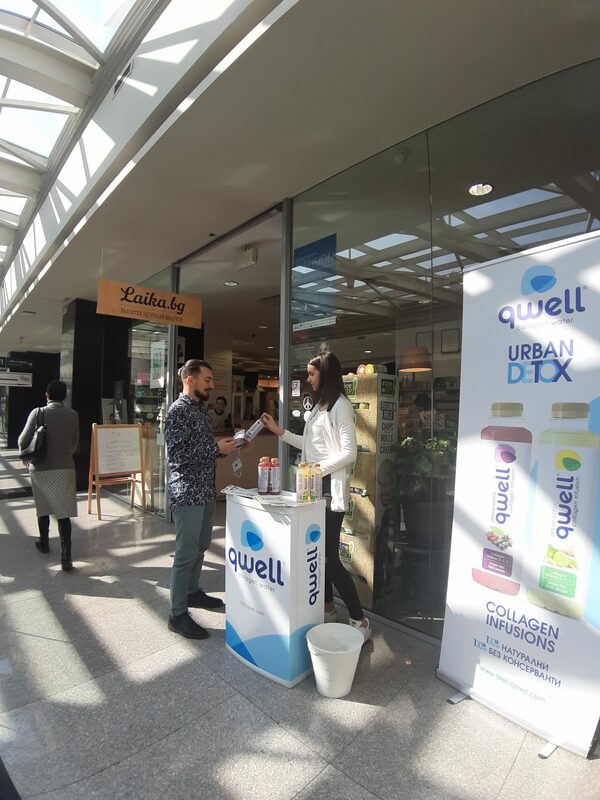 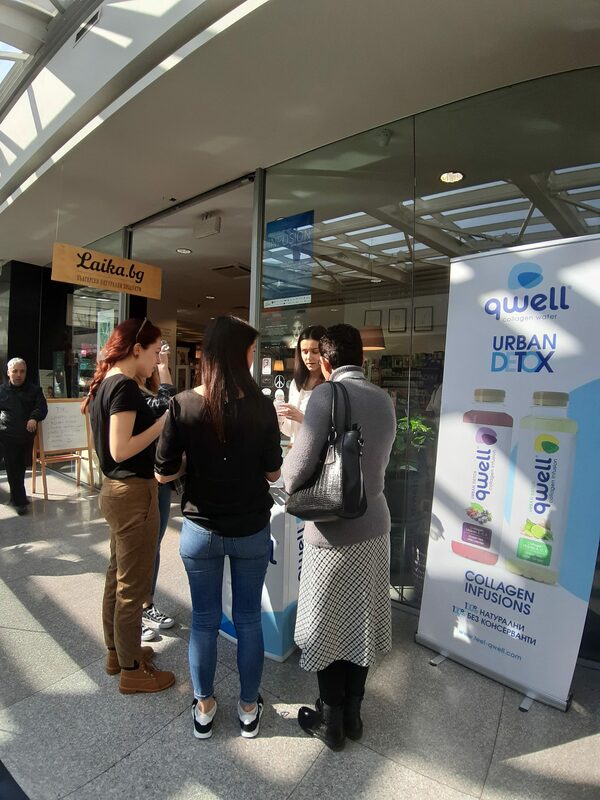 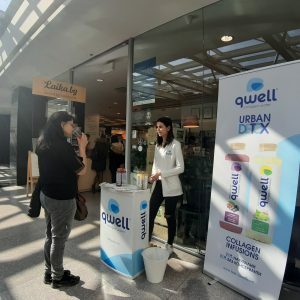 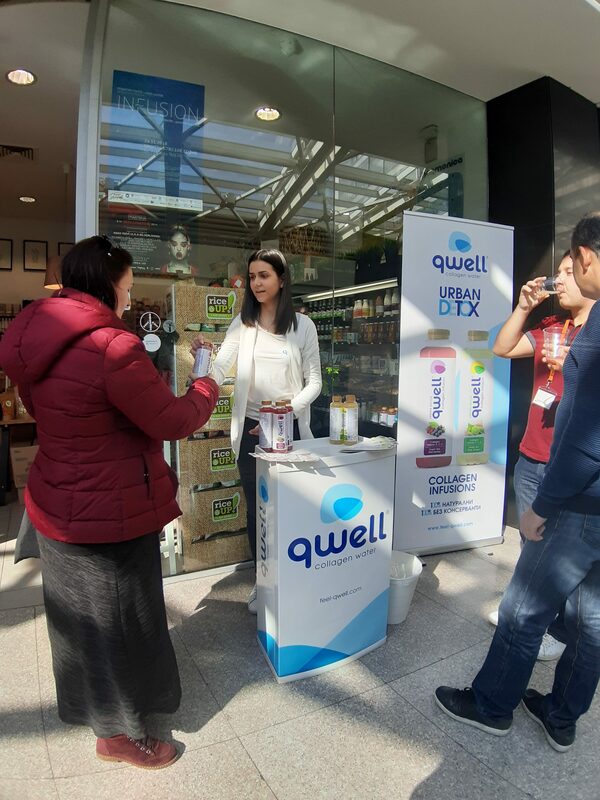 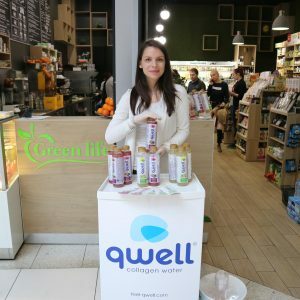 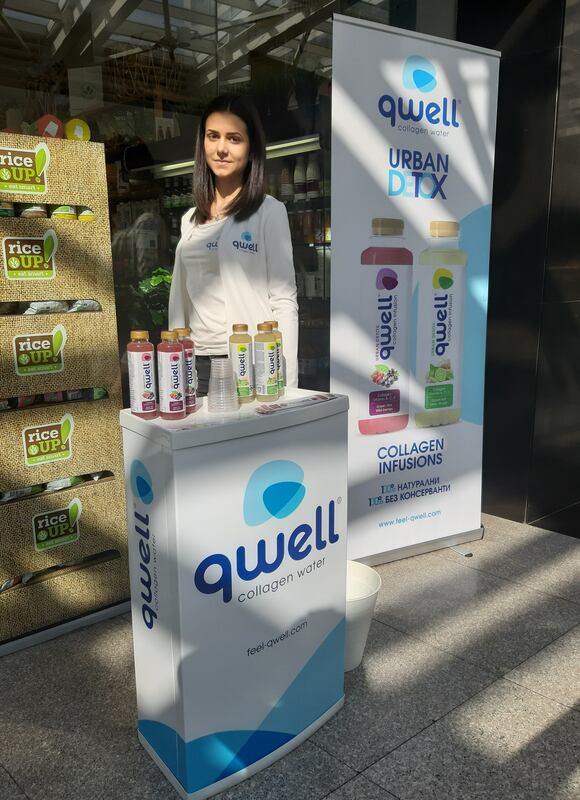 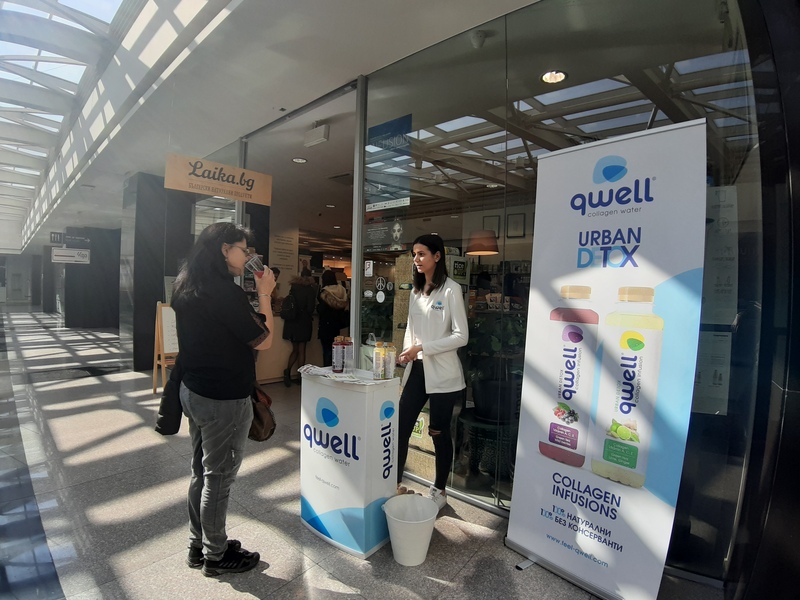 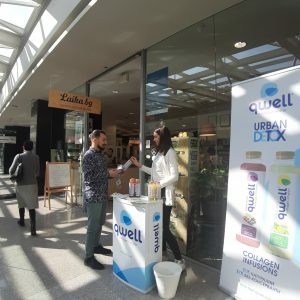 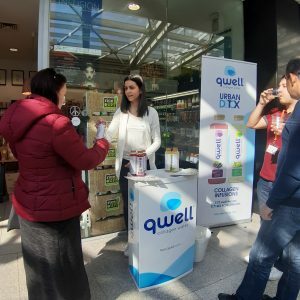 Our teams helps to people to understand the benefits of Qwell urban detox and let them try all new Qwell beverages.